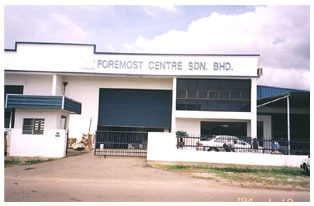 Company Name : Foremost Centre Sdn. Bhd. Land area 17,400 sq. ft. Core Business : Produce mould for plastic injection moulding mainly for electrical, audio and electronic industries. Product : Facsimile machines, audio products, Computer part, and etc..